So I bought the CCNA Data Center Study Guide from Todd Lammle. I have decided it would be a good idea to go over the topics of each chapter of this book in series of blog posts. The idea of this is to work together if on a study group, go over the topics in each chapter of the book, talk about examples and to get an idea of what the exam would cover. Below are my thoughts about chapter one. 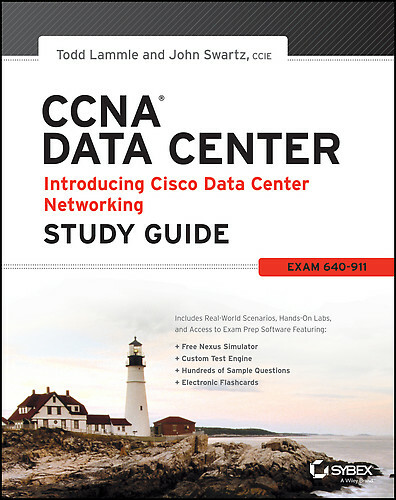 Overview: So when I read chapter one I had to remind myself this is an introduction into the CCNA Data Center exam, as I have talked before the 640-911 exam has no perquisites so we started at the beginning. Asking ourselves “What is a Network?” Todd does a good job in introducing us into these technologies, like understanding what a LAN, WAN is and the difference between these types of logical topologies. We also covered the most common types of network devices such as a workstations, servers, and printers and what function they do on the network. As well as understanding what a peer-to-peer network is and client/server network, when would you use these type of network architectures? We then finally jumped into the type of physical topologies like what a bus, star, ring, are and what are the pros and cons of each? Know the types of network topologies. For example what is the difference between a logical topology and a physical topology? Know the pros and cons of each topology. For example a Mesh topology vs. a Star topology? Understand the difference between a LANs and WANs. My thoughts: For this chapter it’s a review if you went over some CCENT/CCNA study materials or have a CCENT, however don’t skip over this chapter. Instead I would check the review questions on page 23, if you do pretty well go over to chapter two. I have of hinted on this before if you have a CCNA or higher it may seem like a review but there are flakes of new material scattered into the exam and just enough to fail you if you decide to skip it. 🙂 I hope this information will be helpful and if you have any questions on chapter one comment below.